New York City’s plan to put a 5-cent fee on plastic and paper carryout bags is officially over — for now at least — after Gov. Andrew Cuomo signed legislation Feb. 14 to block the city’s action. But that’s not likely to be the end for the very contentious political issue. In a lengthy statement, Cuomo called for a statewide solution to the “plastic bag problem” and said he hoped to work with the Legislature to develop a plan by the end of the year. Cuomo’s main critique was that the city’s approach was “deeply flawed” because it allowed merchants to keep the 5-cent fee, amounting to $100 million a year, rather than using it to fight waste and litter. “The windfall profit to private entities is unjustifiable and unnecessary,” he said. But Cuomo signaled his support for other measures to tackle bag litter, noting that New York state’s bottle deposit law directs 80 percent of that money to environmental programs. The issue was politically divisive. It passed the New York City Council in 2016 by a 28-20 vote. Early this year, the state Legislature’s two chambers moved overwhelmingly to overturn the city ordinance, in combined votes of 165-32. The leader of the State Assembly said members heard from many constituents opposed to fees. The state law signed by Cuomo is, in any case, only temporary. New York City is free to adopt bag fees or other laws again in 2018. 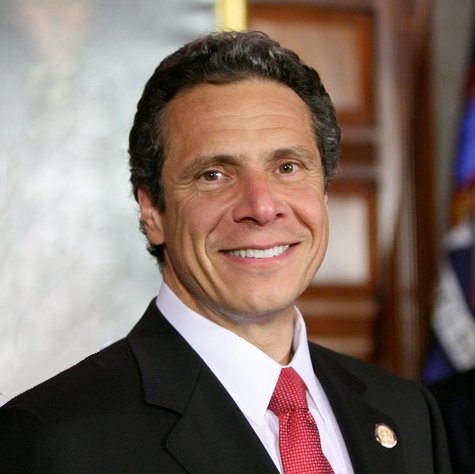 Cuomo said the task force should look at whether a tax is the best approach and whether the state should temporarily supply reusable bags to lessen the burden on low-income consumers. A group of New York legislators, for their part, proposed an alternative on Feb. 14 that would give an instant 3-cent sales tax rebate for shopping with reusable bags. In response to the complaint that the fee was a windfall for merchants, City Council members argued that they had no choice in allowing merchants to keep the money, because state law does not give the city authority to direct fees to specific programs. Some City Council members and environmental groups had urged Cuomo to veto the state law, and they criticized his action. They said disposing of plastic bags costs the city $12.5 million a year, as well as littering the environment. They argued that they built a coalition that “took the issue of plastic solid waste…. to the very highest levels of state government.